Suzuki Marine designs high-output, lightweight 4-stroke engines for the worldwide marine markets. Committed to 4-stroke technology, Suzuki Marine does what it does best, reliable 4-strokes that are a perfect fit for today's boats. The result is the industry’s largest all 4-stroke lineup, from their mini-might 2.5 horsepower portable to their flagship 4-liter 300-horsepower V6, twenty models in all, each packed with advanced features and cutting edge technology. Suzuki Marine offers a powerful choice for every boater that could only come from the 4-stroke leader. 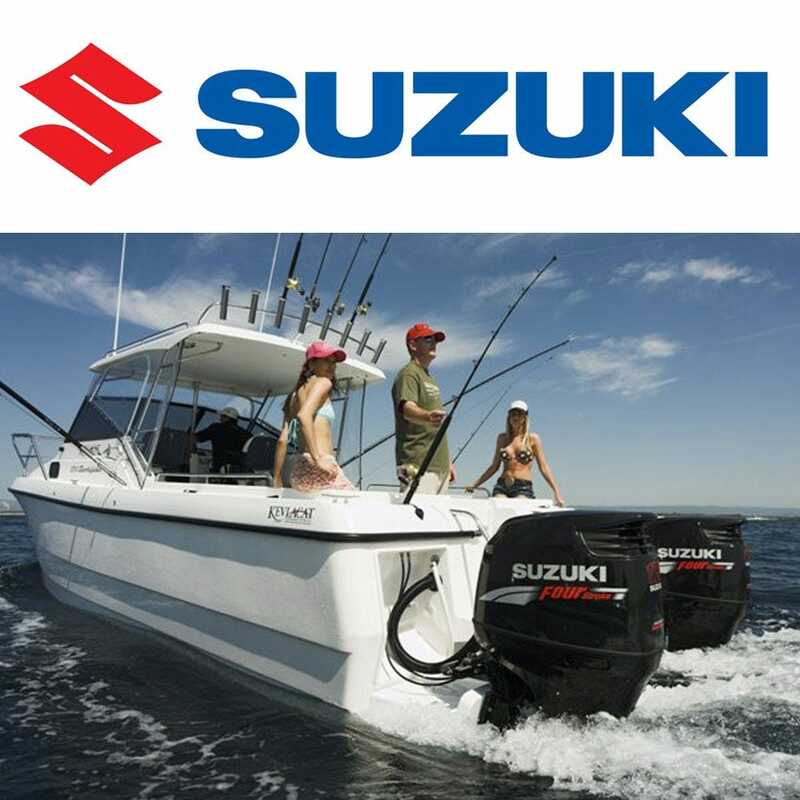 Expect bigger and better things from Suzuki Marine. Like more powerful, quiet and fuel efficient 4-strokes that give the performance and reliability boaters demand. Great Lakes Skipper has put together an extensive list of Suzuki Marine parts and accessories for boaters needs.